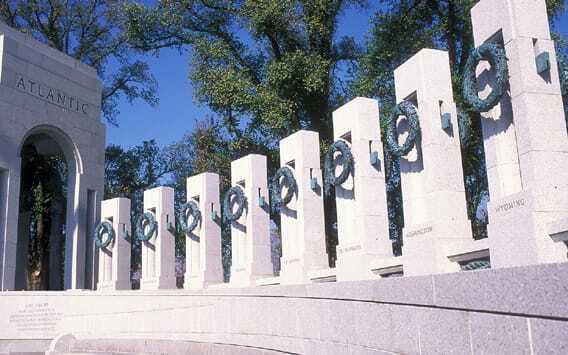 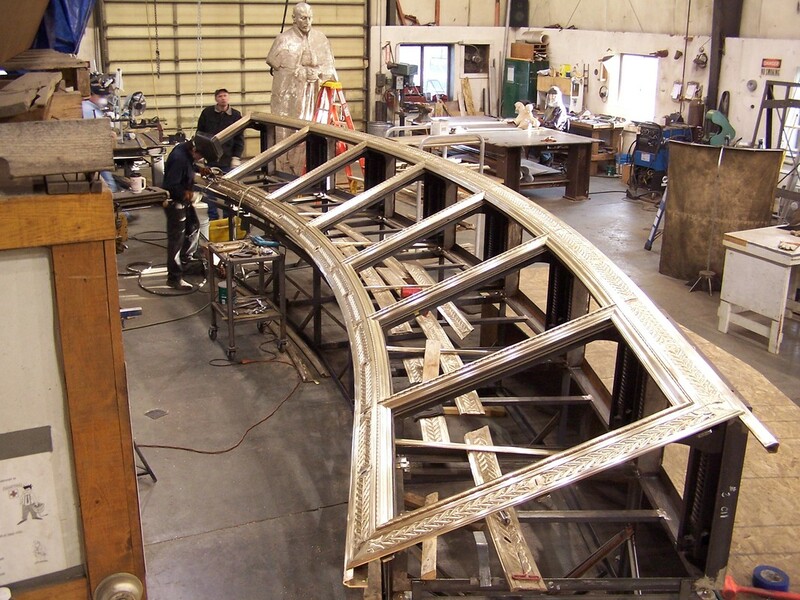 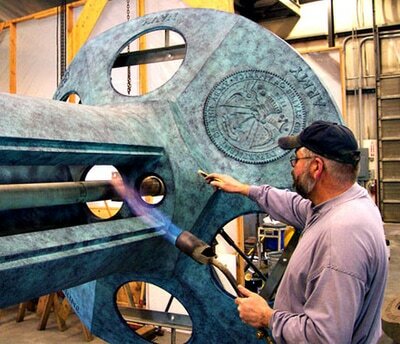 In the spring of 2002, Valley Bronze was contracted to provide the ornamental bronze work for the World War II Memorial on the National Mall in Washington, D.C. 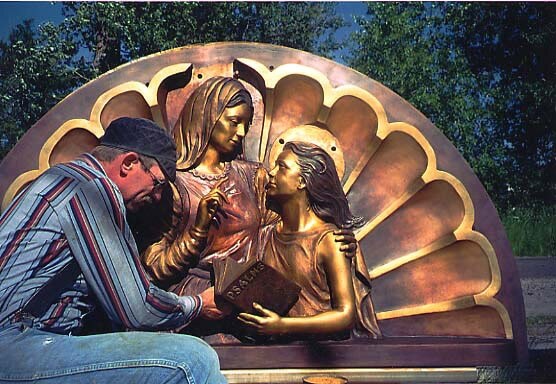 In conjunction with Stewart Springs Ltd., Valley Bronze was awarded the contract and was responsible for the production of several thousand bronze pieces now adorning the memorial. 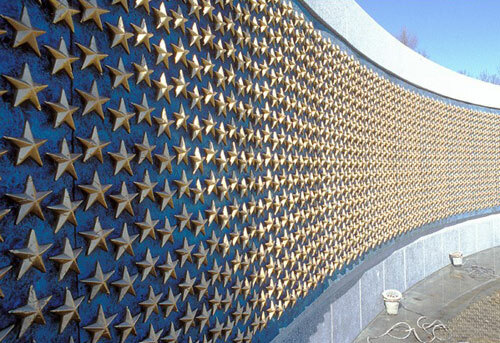 Valley Bronze was recognized for this work by the American Battle Monuments Commission and was also awarded the 2004 Washington Building Congress' Star Award. 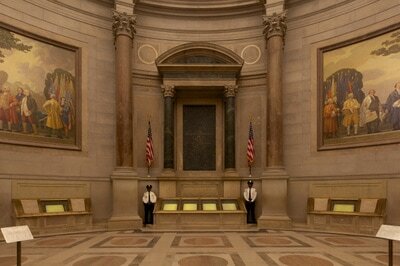 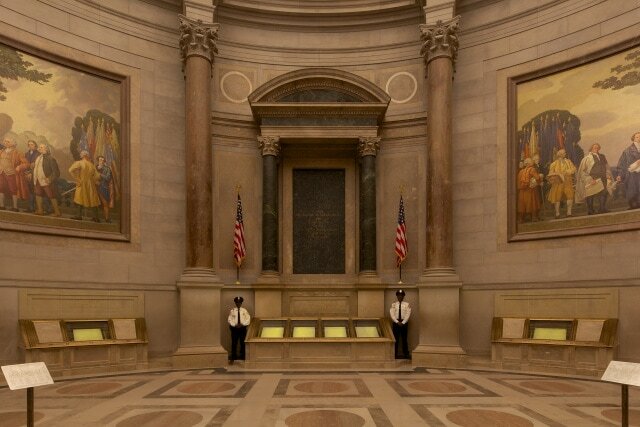 FOUNDING DOCUMENTS CASES, NATIONAL ARCHIVES - Washington, D.C.
​Valley Bronze cast the bronze frames that hold the Declaration of Independence, the United States Constitution, and the Bill of Rights in the Rotunda of the National Archives Building in Washington, D.C. 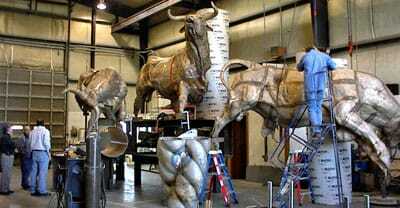 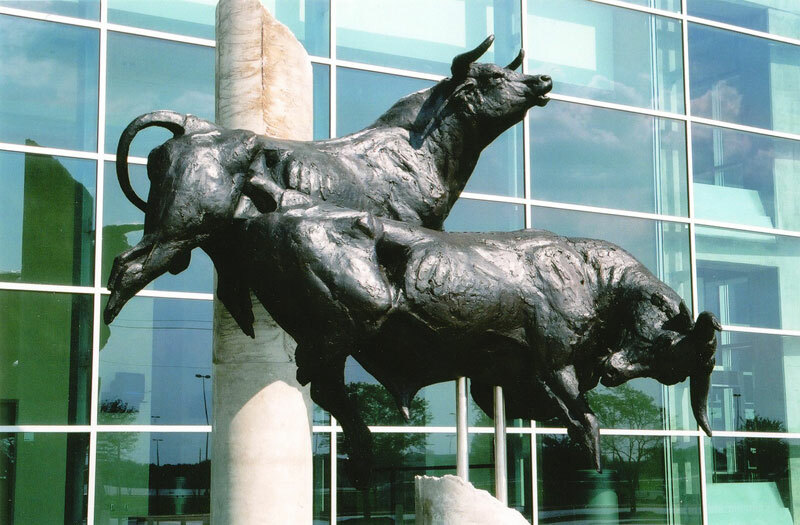 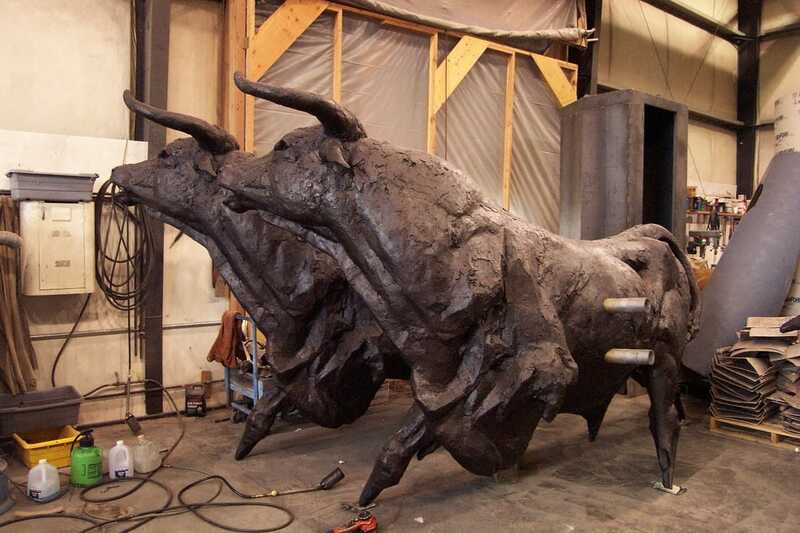 In addition to fabricating the frames, Valley Bronze assembled the newly designed tops of the bulletproof cases and fit/tested hinges and lifting mechanisms at the foundry prior to transporting and installing the cases in Washington, D.C.
Valley Bronze was proud to be the foundry of choice to cast these three life size bulls that Walter Matia sculpted to be placed in front of NRG Stadium in Houston, TX. 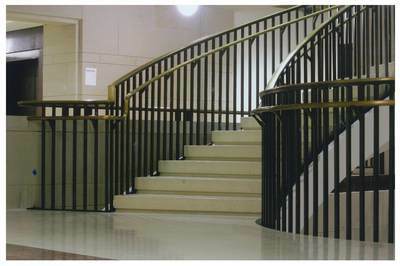 SPIRAL STAIRCASES, U.S. CAPITOL VISITORS CENTER - Washington, D.C.
Valley Bronze fabricated two spiral staircases, railings, grilles, and other ornamental metalwork for the Capitol Visitor Center (CVC). 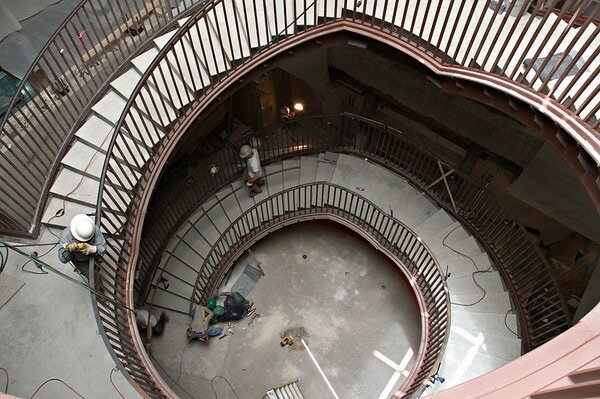 The CVC is the largest project in the Capitol’s 212-year history. 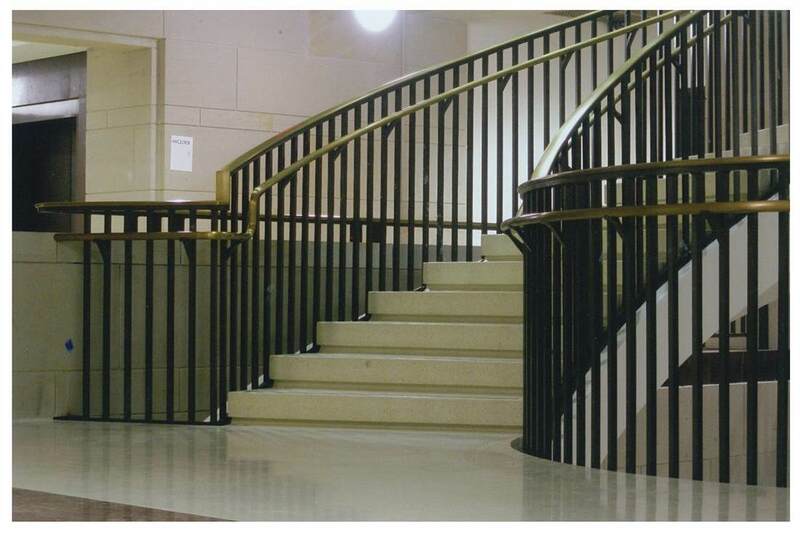 Valley Bronze was named a craftsmanship award winner by the Washington, D.C. Building Congress for its structural steel framing work on the CVC. 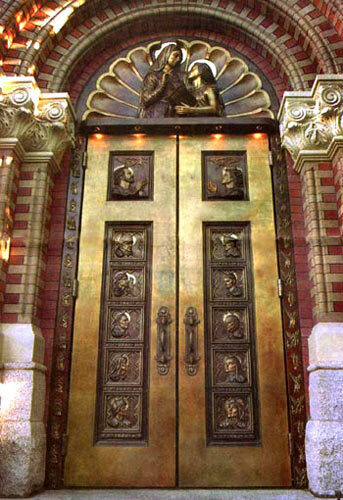 The three bronze doors and tympanums, shown below, were created by Valley Bronze for Our Lady of Lourdes Cathedral in Spokane, Washington. 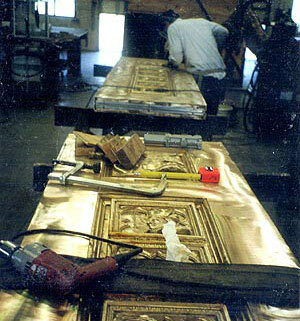 In addition to the casting work, Valley Bronze also designed, engineered, fabricated, and installed the bronze doors. 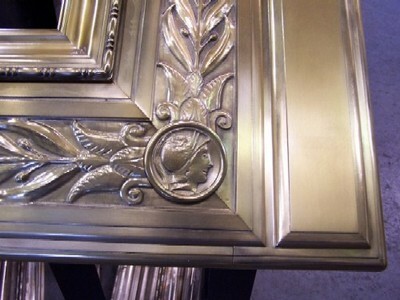 Thus, the project showcases the foundry's full range of ornamental metal services. 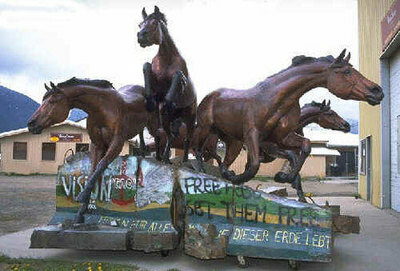 Artist Veryl Goodnight's sculpture, cast entirely by Valley Bronze, captures the moment of joy shared around the world when the Berlin Wall could no longer contain the will of the people. 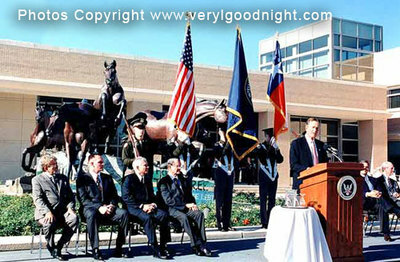 Two monuments were cast, one of which was a gift from the American people that resides permanently at the Alliierten Museum (Allied Museum) in Berlin, Germany, and the other is displayed at the George H. W. Bush Presidential Library in Houston, Texas. 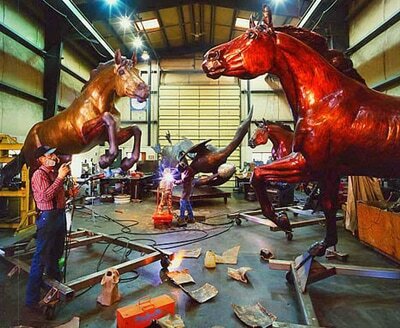 Each sculpture is 30 feet long, 18 feet wide, 12 feet high, and weighs about seven tons.